There is something magical about fall in Missoula. The air is crisp with the first frosts of the year, the clouds from the passing rain create perfect sunsets, and the leaves begin to change colors, slightly at first and then with a colorful blast that is impossible to ignore. A fall visit to Missoula is always worth the trip. Next time you are in the Garden City, consider these fun festivities and create your perfect fall day in beautiful Western Montana. Get out into that crisp morning air and take a hike up to the famous “M” on Mount Sentinel. This .75 mile, 620 feet elevation gain trail isn’t easy, but it is quick and the view from the top is spectacular! Take in the surrounding valleys and marvel at the sea of colors below. Here, you can see fall in Montana in all its glory, with the mountains changing colors with the changing season. It is truly beautiful and worth the early morning rise! Missoula has an excellent coffee scene, and nothing can make a fall day warmer than a hot cup of tea or coffee. Liquid Planet is a great stop – try out their Nutella Mocha or select from a wide variety of chai and herbal team options. Black Coffee Roasting Company serves up some of the most delicious bean coffee in town as well as offers a variety of seasonal specials. Take a cup to go or grab a big mug, settle in with a good book, and take the morning slow. Put on your boots and a beanie and head down into the Bitterroot Valley to go apple picking. Swanson’s Mountain View Orchards and First Top Orchards are great options for local orchards in the Bitterroot. Take a stroll through the rows of apple trees and pick to your heart’s content. Apples are priced by the pound, and most orchards offer various apple products, as well, including ciders, juices, and applesauces. When you get home, you can make your own pies, ciders, and preserves galore! While you are in the Bitterroot, take the slow way back to town and take in the beauty of the changing leaves on the mountains and in the valley. Kick back with a refreshing cup of hard cider at Western Cider, Missoula’s only full service cidery. Western Cider offers up a wide variety of hard ciders including the whisky aged peach cider and the staple Farmhouse cider. Kids can enjoy apple juice or a La Criox sparkling water. Sourced from local apples in the Bitterroot or Washington state, this place can turn anyone into a cider fan. Food trucks are stationed outside on weekends, and you can take in the cool fall air on their outdoor patio. 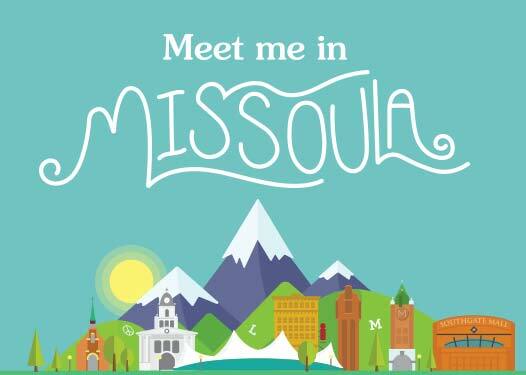 There is always something going on in Missoula, and fall is no exception. Check out our events calendar to see the full line up of fall offerings from the P.E.A.S Farm’s Pumpkin Day (October 14th) to the Montana Brewer’s Fall Rendezvous (September 30th), there is an event for every fall lovers’s interest.